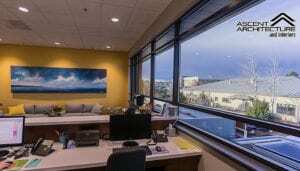 This is a dream practice in beautiful Bend, OR, the 4th fastest growing city in the U.S. This truly is a very unique trademarked practice model. Why Dream practice? Imagine collecting 100% fee at time of service! No insurance billing or waiting to get paid. No extra staff members being paid to invoice, send statements, and handle collections. Collection and Production of over $1million in first year of operations, 49% EBITDA. Rapidly growing with amazing staff, including your very own lab tech. Exceptional Front Office handled by 1 team member. There are also 2 well-trained Dental Assistants with advanced skill sets in Oral Surgery, Cerec restorations and removable prosthetics. The practice enjoys an outstanding reputation in a short period of time (23 5-Star Google Reviews). If you love changing people’s lives with large surgical cases and restoring smiles – this is the practice for you. 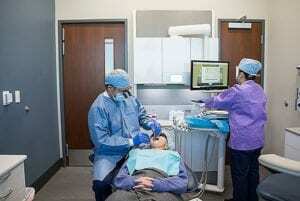 Cerec Restorative Dentistry, Extractions, Grafting, GBR, Implants, PRF, Sinus Grafts, Endo and Removable. Doctor will mentor in all facets in the specialty services, utilizing the 3D Imaging Software, Implant Planning Placement, Surgical Guides, Bone Grafting, GBR, etc. Business owner will mentor in all aspects of the business operations side of the practice. 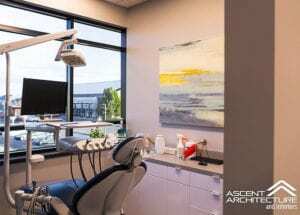 Outfitted with the latest technology, including Cerec Omnicam, 4-motor Milling Machine – Brand New – Arrived January 1, 2019, Sirona Orthophos SL CBCT, all top of the line Adec Equipment. This practice is newly built, opened December 1st, 2017, with 2 Surgical Suites and 3 Patient Exam Rooms. 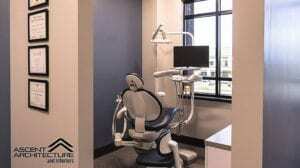 Most importantly, and part of the model, is the full-service in-house Dental Lab with an amazing Removable Technician. She is trained in all aspects of the removable side of the business; she creates beautifully fitting dentures, takes impressions, bite registrations, and does all denture adjustments. You will be able to leverage your time with the Lab Removable Tech. She is also trained in staining and glazing EMAX and polishing Zirconia Crowns. *Seller will consider carrying a partial note for the right candidate.